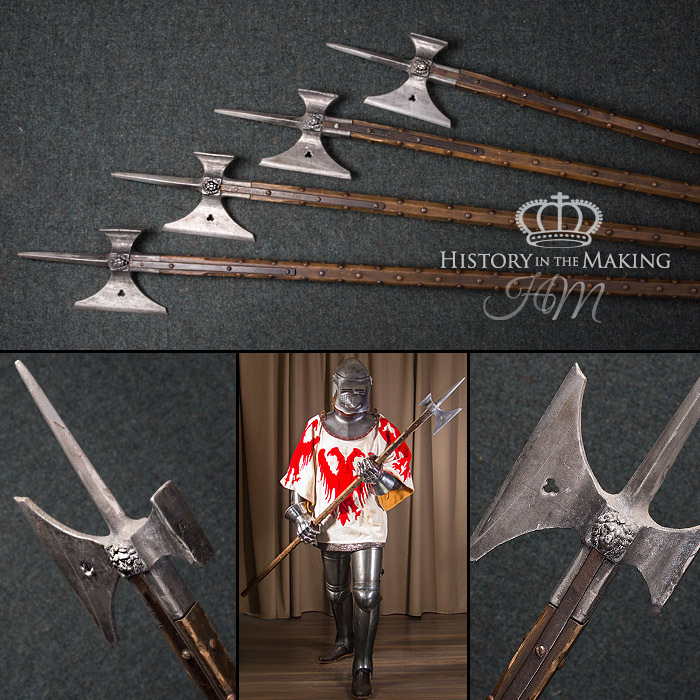 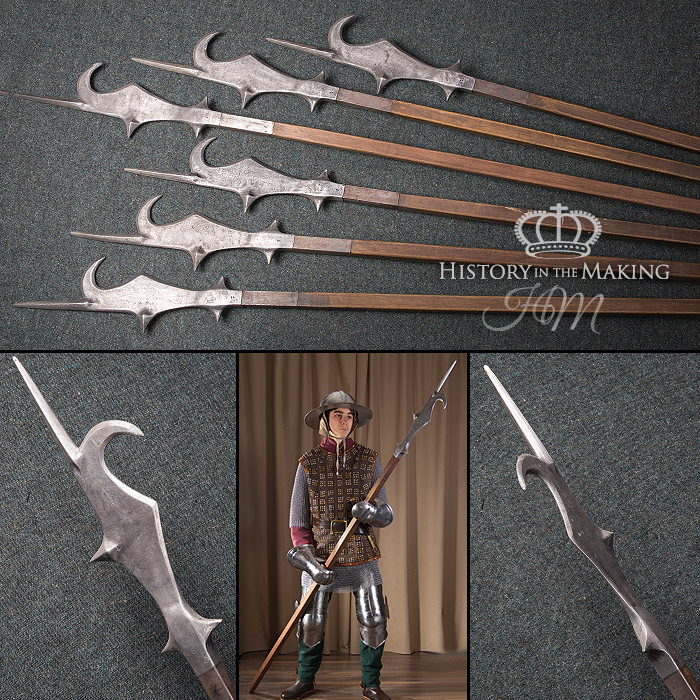 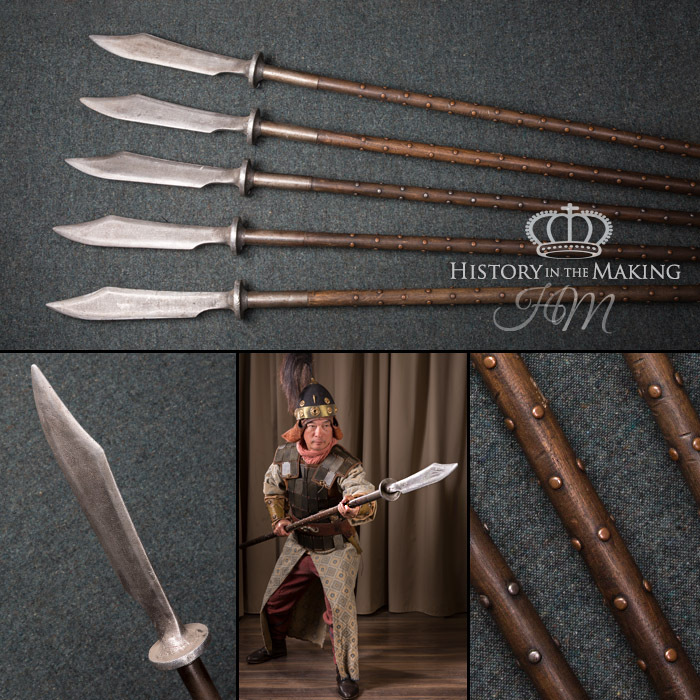 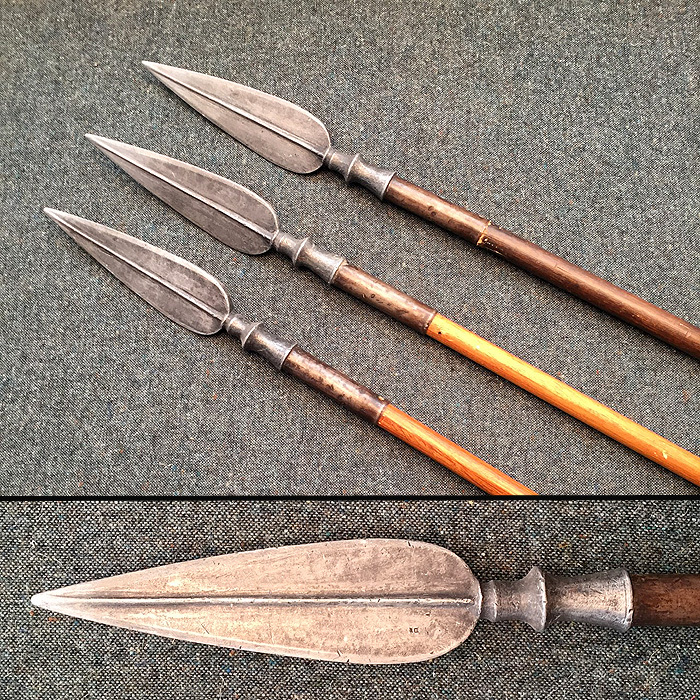 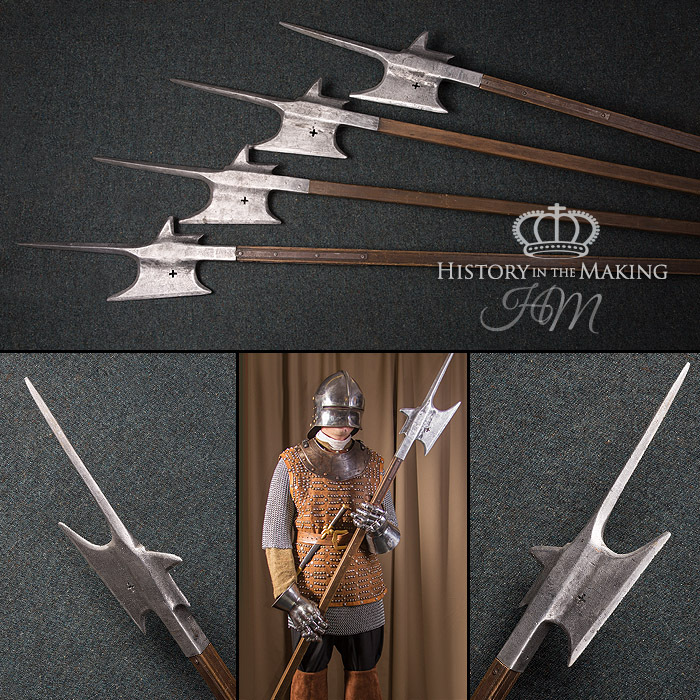 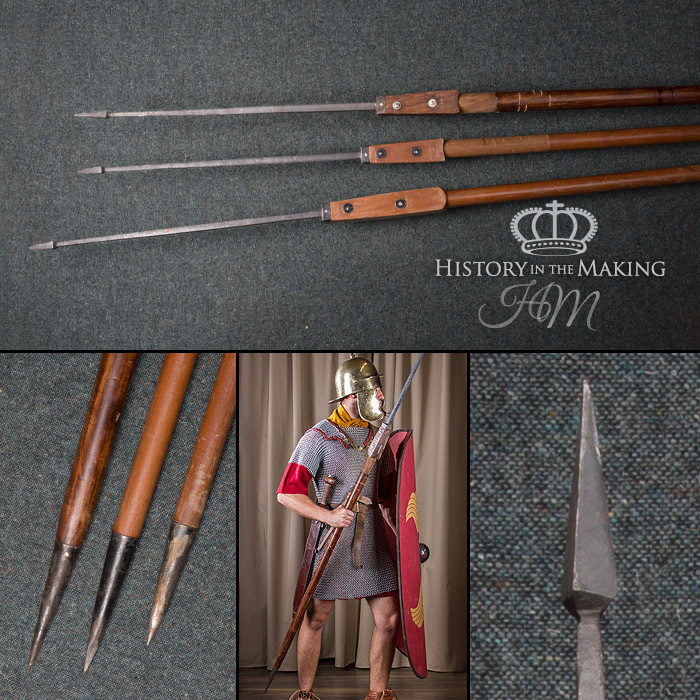 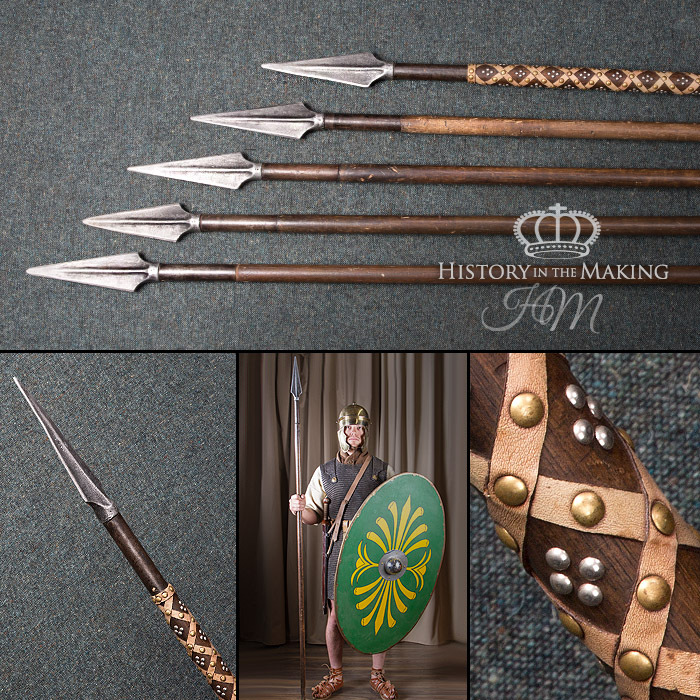 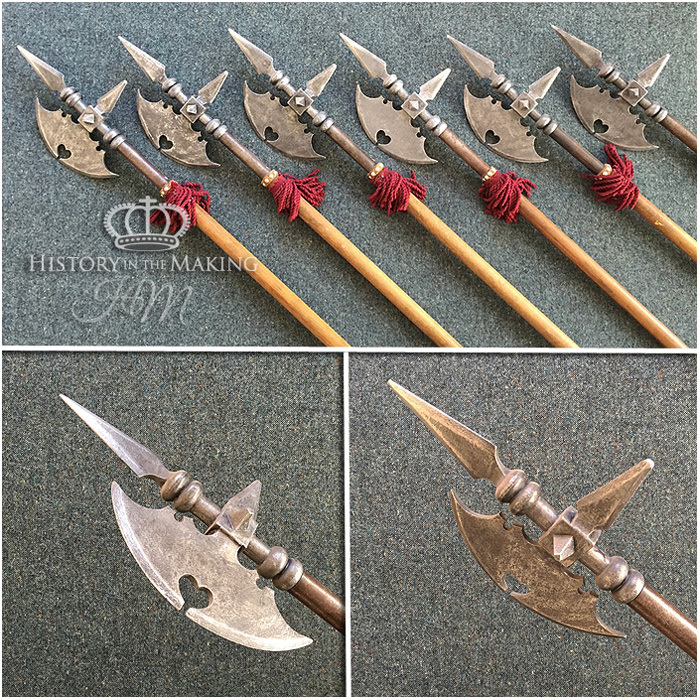 We have a large and varied stock of Spears and Pole-Arms which date from Ancient Greece up to the Napoleonic Wars. 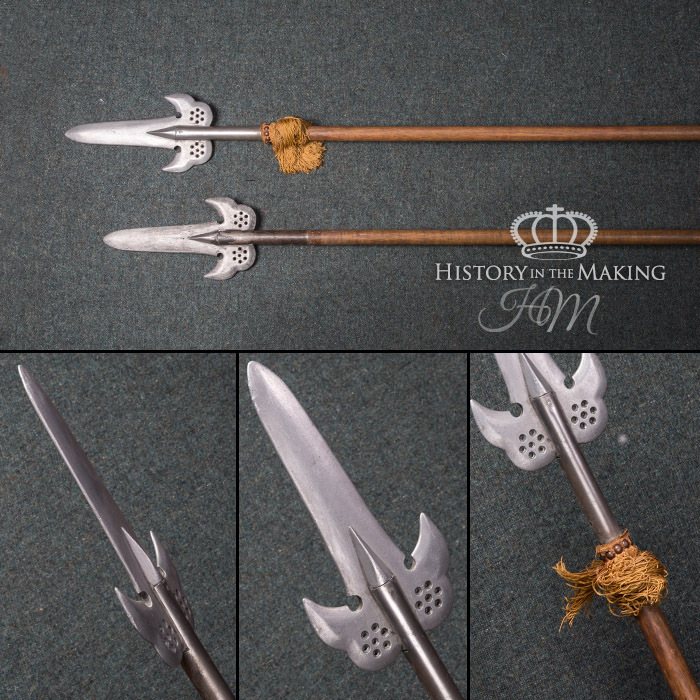 We have two main types of Spear and Pole-Arm. 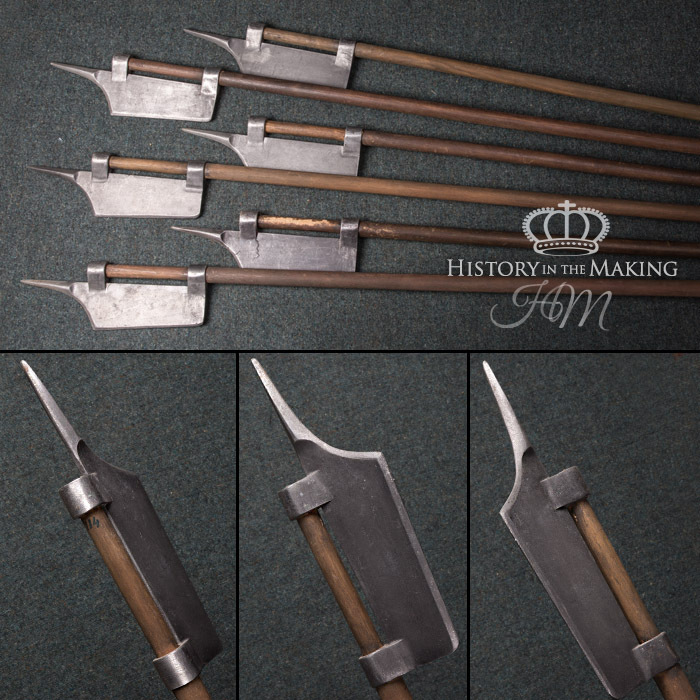 Practical, which is commonly a Mild Steel tip in a Hardwood Shaft with all the leading edges rounded-off so as not to be sharp (As used by Re-enactment Groups) and Prop, which is an Aluminium Tip or Head mounted on a Hardwood Shaft. 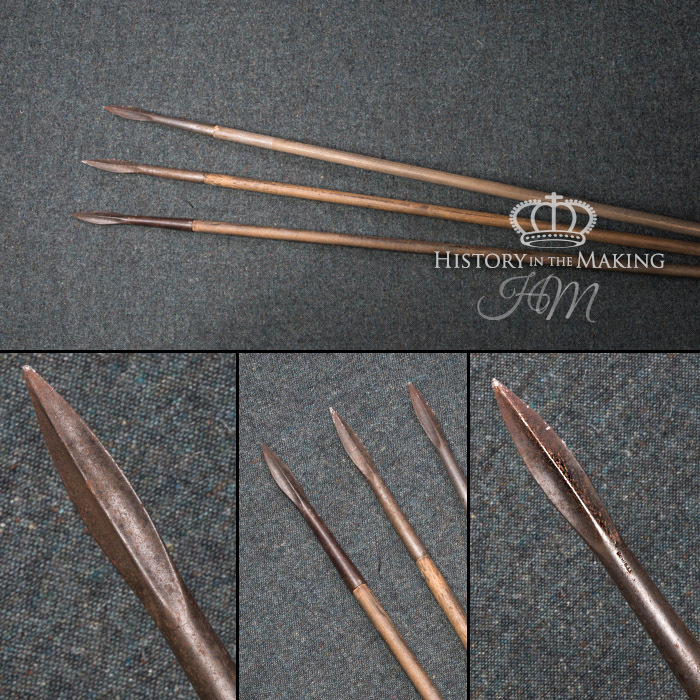 We also have a small stock of Rubber/plastic Tip Spears for stunt work.